After a quiet summer September arrives and activity is all around us . 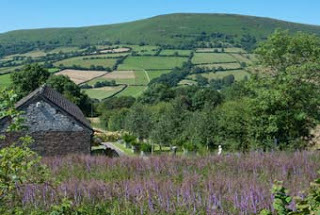 . .
One of the most beautiful galleries opened its doors and its magnificent garden to book and print lovers who found their way through the delights of the Herefordshire countryside to Monnow Valley Arts Centre (previously in London the same people ran the Wolseley Gallery). 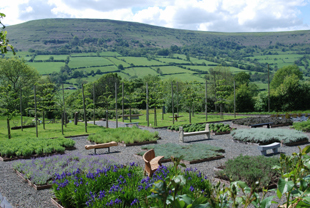 Overlooking the Black Mountain at the top of which Eric Gill lived at Capel y fin, the garden has sculptures and unusual garden furniture, fountains . . . but we were all there to see their new show of prints and books collected by Julian Francis. 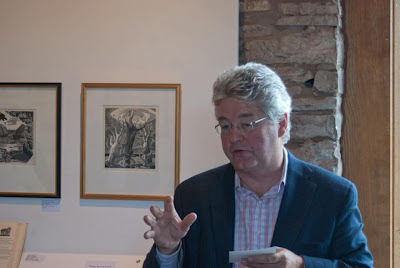 His passion has been for wood engravings by artists such as Gertrude Hermes, Agnes Miller Parker, John Buckland Wright and he then moved towards some of the books that such people illustrated in the middle of the twentieth century. It is a fascinating exposition of how a collector becomes hooked and explores the work of an artist thereby gaining an understanding of the imagination and the craft employed in working with wood in this way. The interesting collection is elegantly displayed but is not for sale. Alongside the main gallery space is a studio space in which the walls are hung with framed prints which are for sale by many of the same artists whose books appear in Julian Francis’ collection. 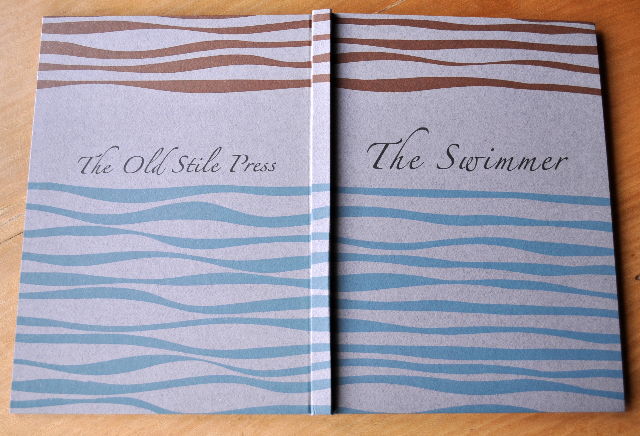 There is also a table of Old Stile Press books to draw attention to our forthcoming talk on Friday 12 October about the collaboration between artist and printer in the creation of our books. For those in the South East of England, rather than in the glories of the Welsh borders, there is an opportunity to see a show of photographs by Steffi Pusch who collaborated with Sarah Butler on our recently published book The Swimmer. The book will be on display from 13 September – 3 October at the Ashdown Gallery in Forest Row, East Sussex and can be read and bought at the show – together with some of Steffi’s highly original photographs. 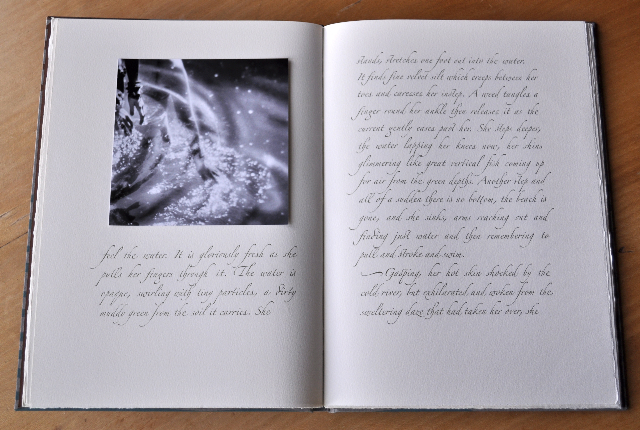 Steffi printed all of the photographs in the book herself and then they were tipped into the text. Details of the gallery and how to get there are on their website (www.ashdowngallery.co.uk) and we do hope that many will go and see the book and photographs there. For all sorts of reasons we shall not be at the various autumn book fairs which we have been at for many years – particularly Whitechapel in East London and Oak Knoll Fest in the USA – we shall have to rely on people exploring our website to discover the many exciting books which we display there.